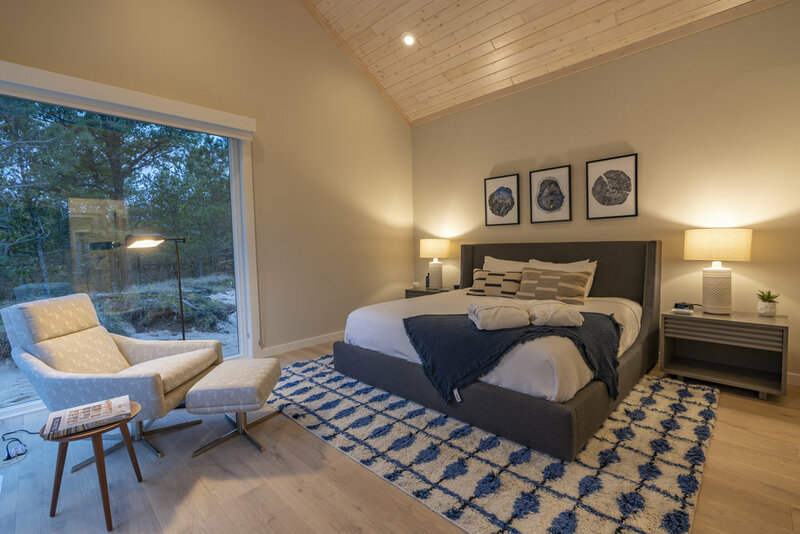 The homes at Sand Valley serve as a luxurious and comfortable getaway. Located a short walk north of the Clubhouse and the Sandbox--our Par-3 course--the Sand Valley homes provide a connection to the resort's amenities with the privacy needed to enjoy the serene setting. 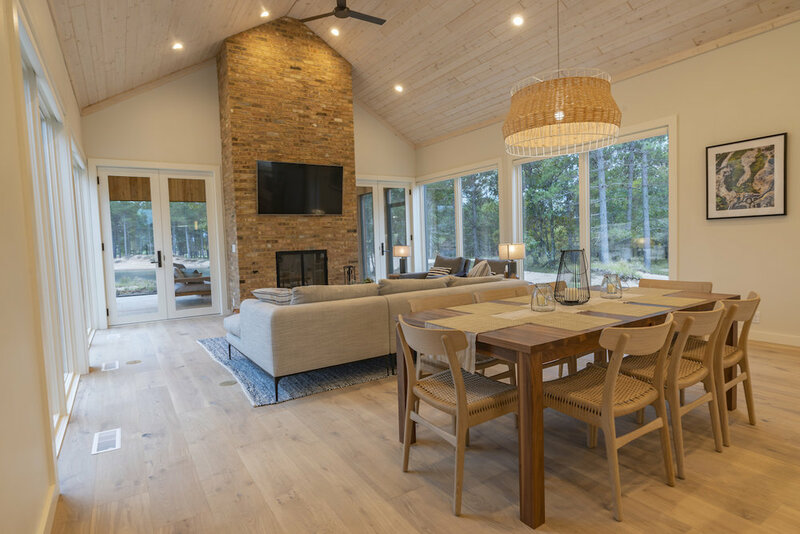 The homes at Sand Valley serve as a luxurious and comfortable outpost intimately nestled into the rugged sand barrens and oak savannahs that surround them. Located a short walk north of the Clubhouse and the Sandbox--our Par-3 course--the Sand Valley homes provide a connection to the resort's amenities with the privacy needed to enjoy the serene setting. 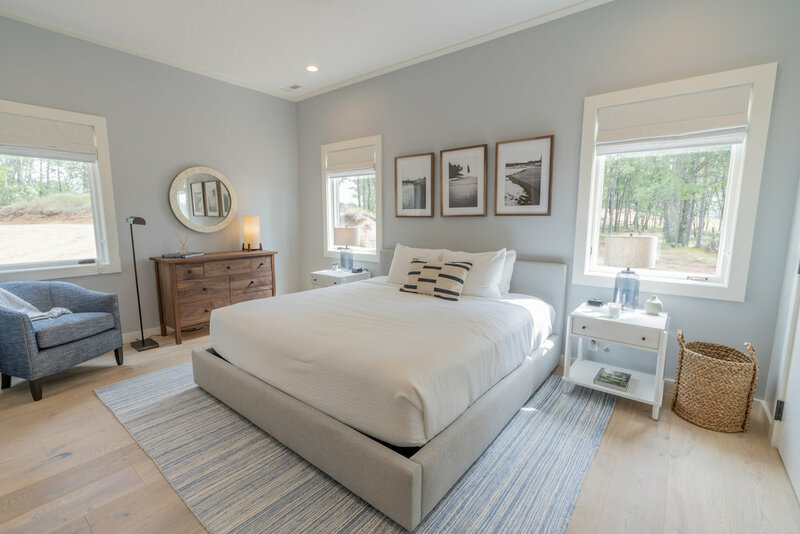 With two-bedroom and four-bedroom homes available there are several ways to live the Sand Valley lifestyle. Thank you for your interest in Links Living! We appreciate you registering interest in real estate at Sand Valley. We are currently working hard on the finishing touches and plan to offer homes to the public starting in early summer. As additional information becomes available over the coming months, you will be among the first to receive it. We hope to see you on the links soon! Pre-Furnished: All homes are offered pre-furnished, which includes all furniture, lighting fixtures, artwork, bedding, towels, and even kitchen ware. Housekeeping and Home Care: Let our team take care of the daily housekeeping and regular upkeep of your house (including routine maintenance and landscaping) so you can enjoy the stress free Sand Valley lifestyle. Concierge Service: Simply request your favorite beverages, snacks and food items prior to your arrival and our team will make sure everything is ready and stored away upon your arrival. 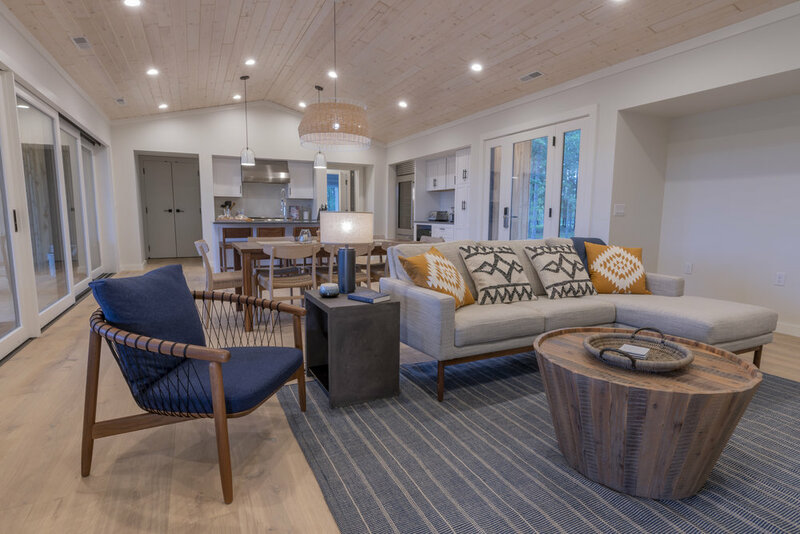 Stress Free Ownership: Our team takes care of TV, Internet, Phone and utilities bills so that you can simply enjoy the stress free Sand Valley lifestyle. All homes have been designed to allow homeowners and their guests to enjoy the outdoors. Expansive floor-to-ceiling windows offer incredible views of the surrounding nature with outdoor fire pits, screened in porches, outdoor terraces and hiking trails nearby pulling you to experience the unique Sand Valley landscape. Our new community is currently in the pre-sales phase. If you fill out the form below a Sand Valley team member will reach out to you as soon as this new offering is launched.